After a thorough evaluation our Physical Therapists will develop a plan to help achieve your goals utilizing these techniques combined with Therapeutic Exercise and other treatment modalities. Board Certified Sports Clinical Specialists at our facilities are experts in the prevention and care of sports injuries. Working in conjunction with MD's, coaches, trainers and the athletes themselves our staff is skilled at early intervention in the treatment and prevention of sports injuries. Through our pre-season testing program, sports conditioning and skilled Physical Therapy, we are able to provide comprehensive care of sports injuries. Utilizing technology combined with our experience and ability to establish an aggressive treatment approach to return the Athlete to their sport as quickly as safely possible is the cornerstone of our program. Measure your range of motion and strength. Discuss what to expect after your surgery, as well as go over the post-op therapy you will be receiving. Give you exercises to start when you return home from your surgery. Set up your post-op therapy appointment. Please do not hesitate to contact the staff at Cape Cod Rehabilitation to set up an appointment or to have any of your questions answered. More than 10 million Americans suffer from osteoporosis, of which more than 2 million of these are men. 1 out of every 2 women and 1 in every 8 men over the age of 50 will suffer from an osteoporosis related fracture in their lifetime. Numerous studies published in peer reviewed journals have shown the success of weight bearing exercise and resistance training in improving bone densities in women and men of all ages, including post-menopausal women. 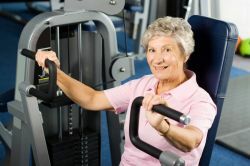 Why wait until Osteoporosis affects you the trained staff at Cape Cod Rehabilitation can help establish a workout regime aimed at maintaining and improving bone density as well as improving posture. We can work with patients of all ages and all ability levels. No matter what your age or level of athleticism there are exercises you can do to reduce your risk of Osteoporosis related fractures. In addition the staff can offer nutritional suggestions for calcium rich foods and can even share a few great recipes. Each of these life saving interventions can have an affect on the integumentary, lymphatic, musculoskeletal, cardiopulmonary & neurological systems. The staff at Cape Cod Rehabilitation is highly trained in manual therapy & exercise implementation and progression. We offer a wide variety of hands-on techniques, as well as land and aquatic based exercises designed to achieve tissue / scar mobility, edema management, pain relief and increased range of motion and strength. In addition to our comprehensive physical therapy programs, Cape Cod Rehabilitation has the FitPlan Fitness center which offers patients and people in the community the opportunity to maintain strength and conditioning via personalized exercise programs developed by the highly trained FitPlan staff. Cape Cod Rehabilitation work conditioning is a physical therapy program designed to return a patient to full functional capacity for a job that requires a high level of physical activity. Firefighters, EMTs and Police Officers are typical examples of such positions. Work conditioning is not only designed to prepare the individual to return to physical work, but also helps avoid re-injury. For example, after an industrial accident, re-injury is most likely to occur shortly after a worker resumes his usual duties unless he has been properly prepared. Similar to an athlete resuming light practice before returning to competition, a worker whose job is physically demanding benefits from work conditioning. The term work conditioning refers to the therapeutic approach of progressively increasing physical work loads after injury back to the point that the worker was at prior to the injury. Performed in an outpatient setting, working conditioning is usually done 3-5 days per week for 2-3 hours. Work conditioning is done after a person has completed acute rehab whether it is post surgical or some other type of soft tissue injury. Once the worker transitions from the traditional outpatient program the focus shifts to more job simulation tasks, total body conditioning and endurance training depending on the demands of the job. The Cape Cod Rehabilitation Dance Program was designed for dancers of all levels to prevent injury and improve performance. Our Physical Therapists have advanced training in Dance Medicine and put together a program using The Burdenko Method on both land and water. The land class focuses on core strength, balance and coordination while the warm water pool workout includes deep water conditioning using buoyancy devices for endurance, speed, and strength and a simulated ballet barre with low impact plyometrics in shallow water. For more information or a 30-minute demo at your dance studio or one of our Cape Cod Rehab locations, give us a call!